In general, the commonly used is the metallic gold and the metallic silver. The production cost of metallic thread is relatively high, generally depending on the size of the product, 30% to 50% of the unit price of the product is added. The metallic thread itself has a flashing effect. 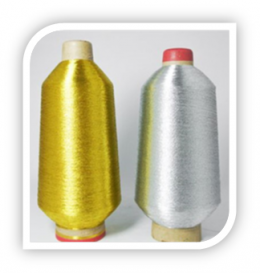 So most people are willing to use metallic wire on their embroidery products. 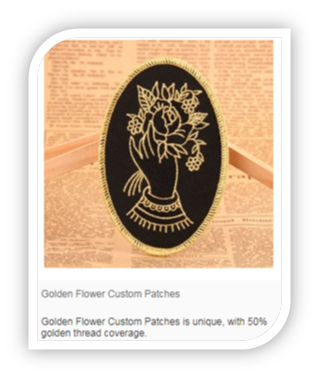 There are three main reasons why you why use metallic thread on custom patches. At first, metallic thread makes custom patches looks more high-end. Secondly, metallic thread makes custom patches looks more beautiful. Thirdly, metallic thread makes custom patches more refined. Metallic thread makes custom patches more high-end. 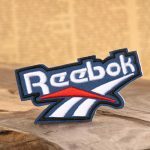 Compared to other embroidered patches which are made with conventional threads, custom patches with metallic thread looks more high-end. Bullion patches is a classic custom patches which are made of metallic thread and belong to a kind of high-end custom patches. So it is widely used in the uniforms of various private schools, military branches and other groups which are rich and have enough funds. 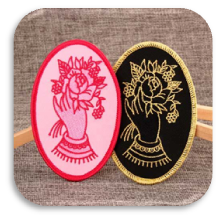 In addition, some garment factories also choose to embroidered patches with metallic thread when producing high-end jackets, because it can make the garment itself look higher and value for money. Besides, some organizations or clubs will choose bullion patches to make clothes for their members. 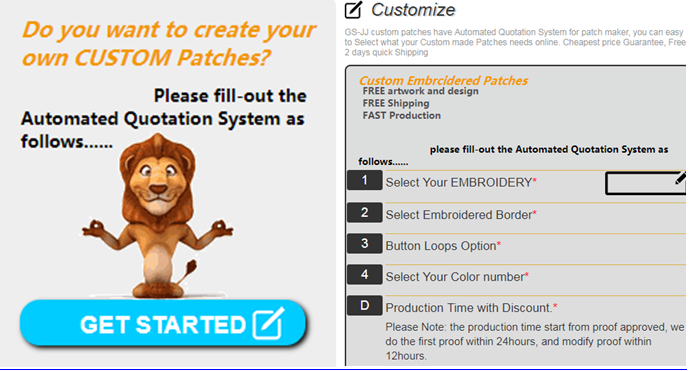 If you want to take special custom embroidered patches which are made of metallic thread, you can click this website, they also can support custom services, if you want to customize your own custom patches, you only need to follow his prompts to operate, and there is no minimum order quantity. Metallic thread makes custom patches looks more beautiful. Compared to other embroidered patches which are made with conventional threads, custom patches with metallic thread looks more beautiful. If we choose same shape and the same embroidery pattern, but one uses a conventional line and the other uses a metallic thread. Thanks to the surface gloss of the thread, the designer can create a brilliant embroidered effect. Embroidered patches with metallic gold looks more beautiful. Especially in the sun, this glitter effect is more beautiful. If you see the real thing, you will be more surprised. Metallic thread makes custom patches more refined. Compared to other embroidered patches which are made with conventional threads, custom patches with metallic thread looks more refined. When we choose a relatively complex pattern, the metallic thread is the best choice. Because it can reflect the details very well. For example, please see the follow two dragons made of the metallic gold and metallic silver. Due to the complexity of the pattern, the designer uses metal wires in the main part to reflect the details, making the product look more refined. In other words, if you want to make your embroidery products more refined, you can use metallic thread instead of regular thread. Are you still wondering why you should use metallic thread on custom patches? In general, you can choose to use metallic thread on your custom made patches when you have enough budget. Then You will get a higher-end, more beautiful, more refined and unique embroidered patches. If you are interested in learning about more details about the custom patches made of metallic thread, you can call me: 1-888-864-4755, I am glad to share some points to you. If you found it helpful, please share it with your friends! Welcome you leave your comments and we can explore these issues together. 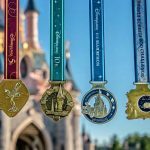 ← What do marathon medals mean to you?